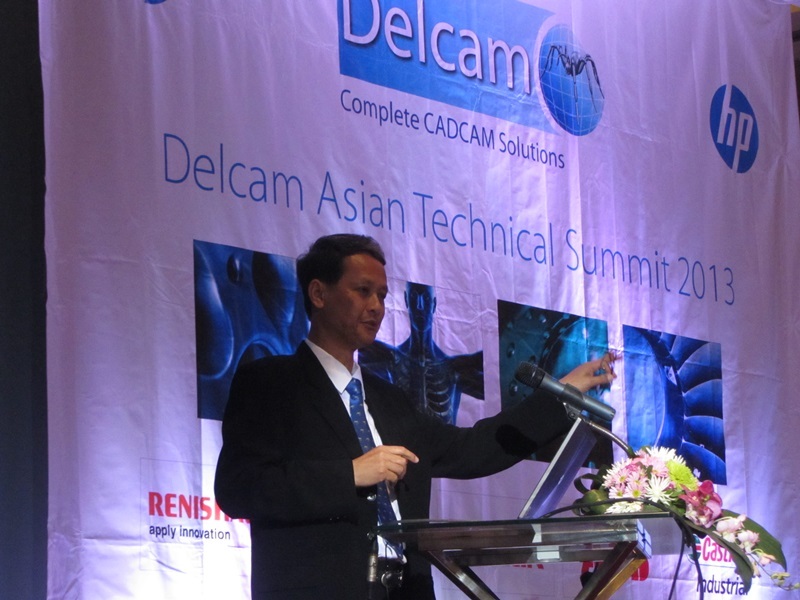 I’m in Bangkok attending Delcam’s Asian Technical Summit (ATS), a two day event where Delcam flies in members of the CAD/CAM media from various Asian countries and treats them to a host of information about its new products and services. 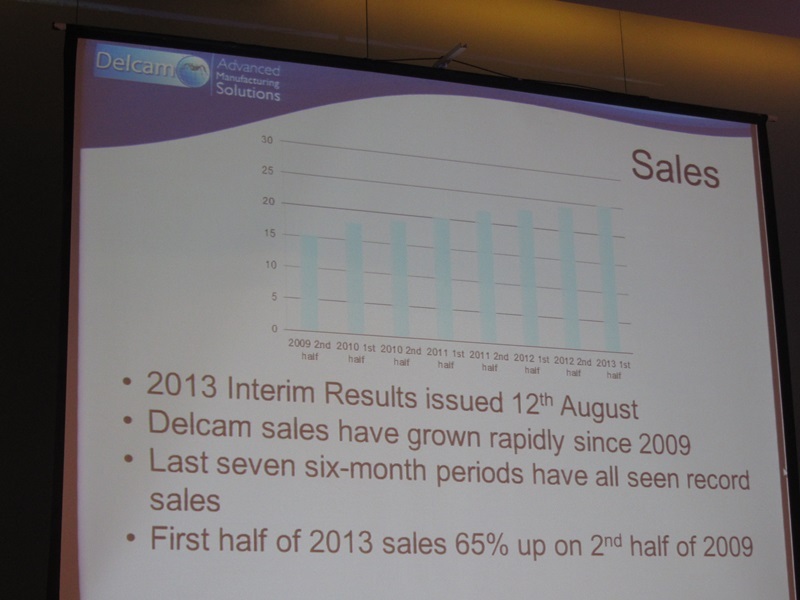 Day 1 of Delcam ATS 2013s started with CEO Clive Martel giving attendees an update on the company’s activities. He lay stress on the recently announced results where software sales grew by 10% and maintenance grew by 18%. Delcam seems to be on a good run. The last seven half yearly sales have all been records numbers. 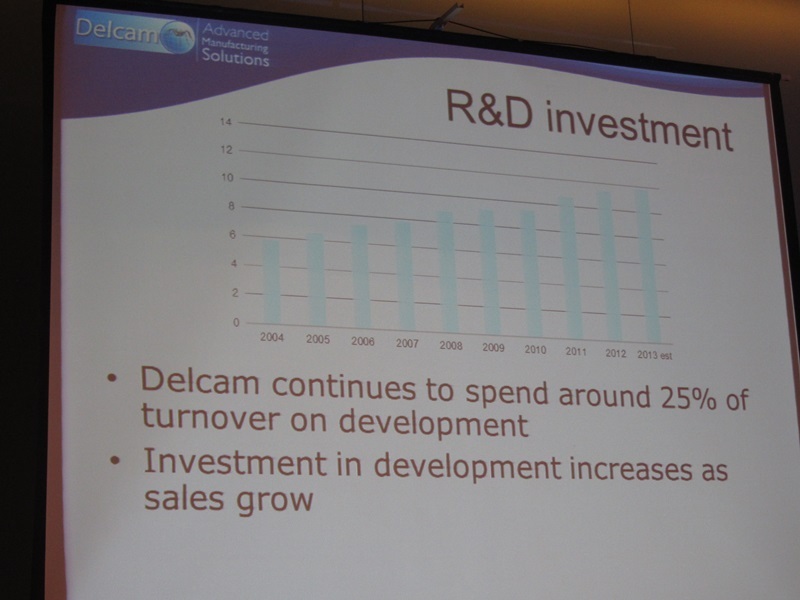 Clive mentioned that unlike Delcam’s competitors, the company continues to spend around 25% of turnover on R&D. Delcam employs the largest development staff among CAM software development companies, which includes 210 researchers. Clive mentioned setting up new subsidiaries in Turkey, Australia and Mexico. Delcam also opened a new joint venture in Denmark, a relative small market. Clive also quoted the latest CIMData report that declared that Delcam had completed 13 years as the leader in the CAM industry in terms products and end user sales. Next up was Seiji Niwa from HP, one of the sponsors of the ATS event. 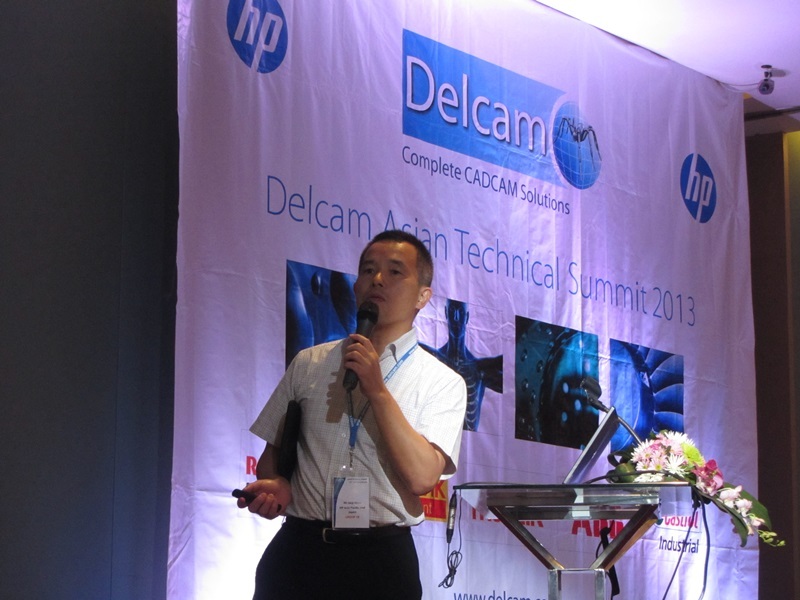 Seiji gave a presentation on HP workstations and spoke about how they have made them better to work with Delcam software. Later Buranang Suskamiti, the head of Delcam Thailand, gave a presentation on Delcam’s activities in the country. Today Delcam is 27 man strong in Thailand but had initially started as a dealer 18 years ago. 9 years later in 2004 Delcam Plc invested in the dealership and created a joint venture. 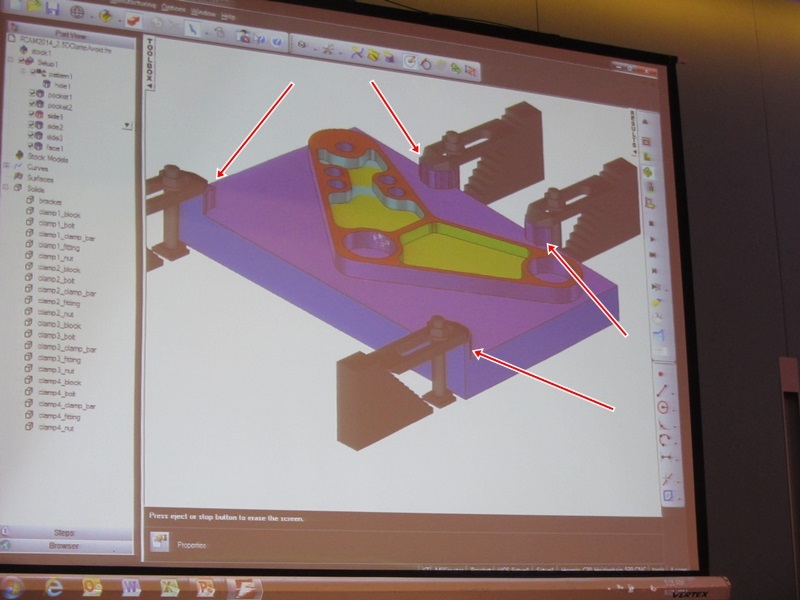 Thereafter in 2009 Delcam established an in-house CNC workshop called Delcam Engineering Services (Thailand) Co. Ltd. Interestingly, among the equipment owned is a 3D Systems rapid prototyping machine. In Thailand, Delcam’s main customer base resides in automotive, mold & die, footwear and jewelry industries. The company has a total of 481 customers, 151 of which are users of PowerINSPECT. 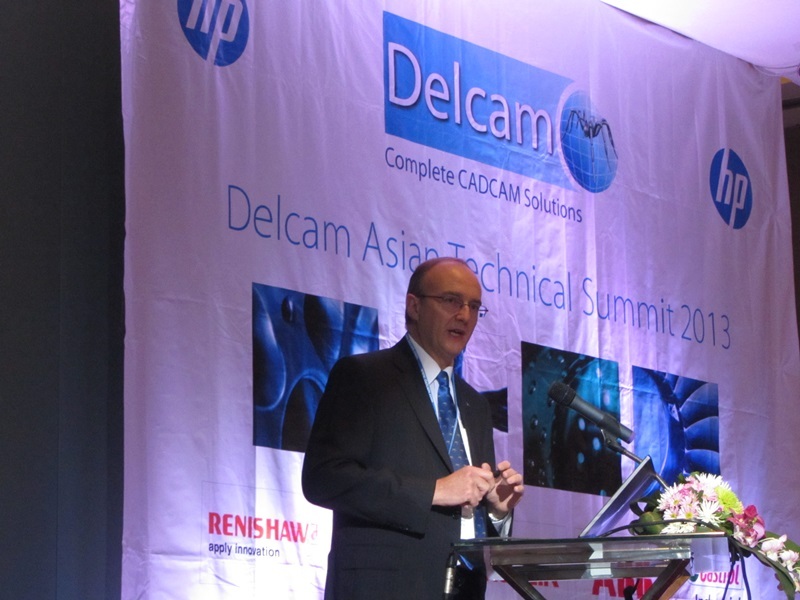 Thereafter there was a technical presentation given by Peter Dickin, Delcam’s head of Marketing. Peter spoke about Vortex, the high speed roughing operation proprietary to Delcam, Later Sandy Moffat gave another technical presentation on FeatureCAM 2014 highlighting the new feature recognition tools, 2.5D automatic clamp avoidance and steady-rest and tailstock support, typically use for large jobs to provide better support. I found the 2.5D automatic clamp avoidance feature pretty neat. 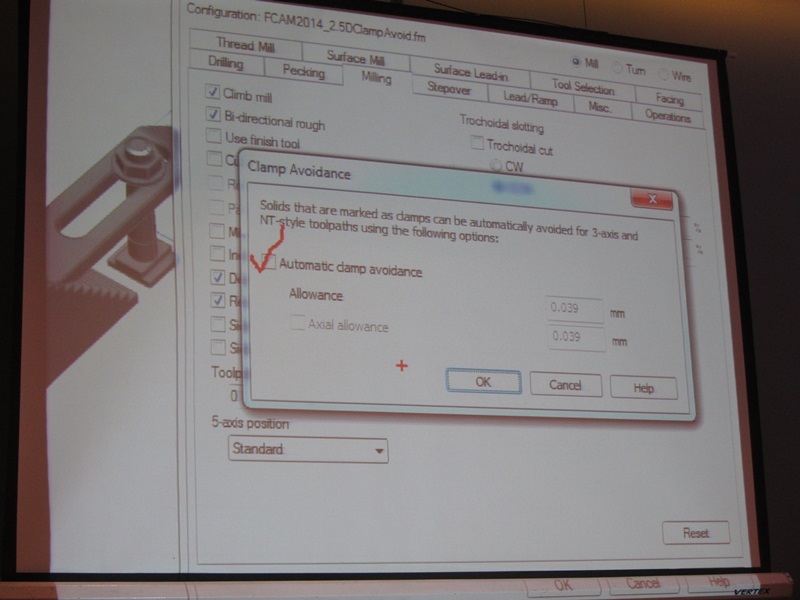 In previous versions of FeatureCAM, the user had to manually select faces of the clamps and tell the software to avoid them. In FeatureCAM 2014, all you need to do is turn the automatic clamp avoidance feature on and set a tolerance. 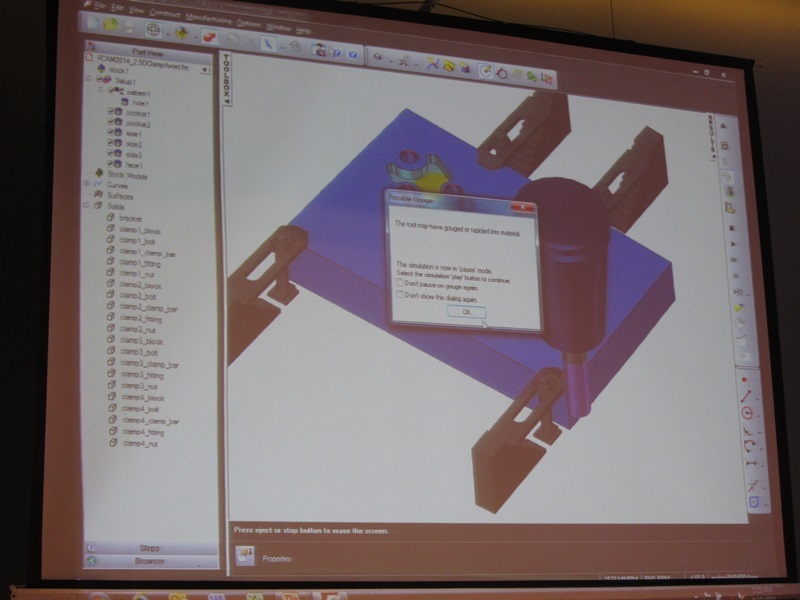 The software recalculates the toolpath so that the claims are not machined. This is going to be a great time saver. Here are a few pictures explaining how this works. The software warns you of a possible collision with a clamp. You turn the automatic clamp avoidance option on and recalculate the tool path. The recalculated tool path takes the clamps into account and avoids them. One of the nice things I like about the Delcam ATS event format is the customer visits. Today after lunch we are going to visit a company called Mazak where we are going to sell all this goodness in action.